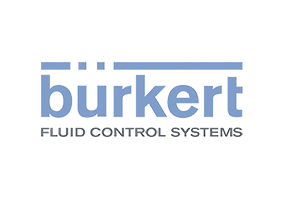 As part of our our extensive offer to you, we can provide a range of valves & controllers from Bürkert Fluid Control Systems. Control panels linked with various communication technologies, such as traditional wiring through to integrated Field Bus systems. Let us talk to you about our ability to offer closed loop control to your process valves and sensors using products designed for the Pharmaceutical Industry sector. 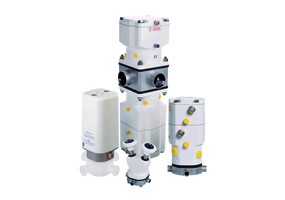 The Bürkert range of hygienic valves for bioprocessing, provide high flow rates and long life cycles. They have weld end and clamp bodies for hygienic connections, available in various surface finishes. 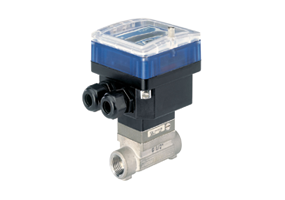 Robolux valves are regarded as a product with high functionality in a very compact space. 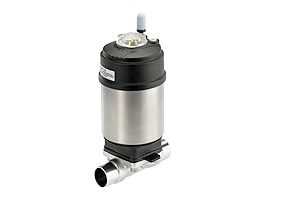 The multiport valve integrates two independently operated valves beneath a single diaphragm. This patented design saves volume and dead space, and therefore makes it possible to design more compact layouts even for complex processes. The batch controller can control very precise dosing and filling operation, and is especially designed for use in neutral, slightly aggressive, solid free liquids. The batch controller is made up of a compact fitting with paddle-wheel (S030) and an electronic module (SE35) quickly and easily connected together by a Quarter-Turn.